Finding activities that bring joy to kids and adults alike can be challenging. But with our family-friendly Christmas-time list at the ready you’ll be getting into the spirit in no time. Take a peek inside that magical North Pole workshop during Santa’s Christmas Spectacular. This circus show at Wonderland Junior fun park is packed with acrobatics, singing, dancing and hilarious antics. Santa himself will be checking in, plus there are rides and games to enjoy after the show. 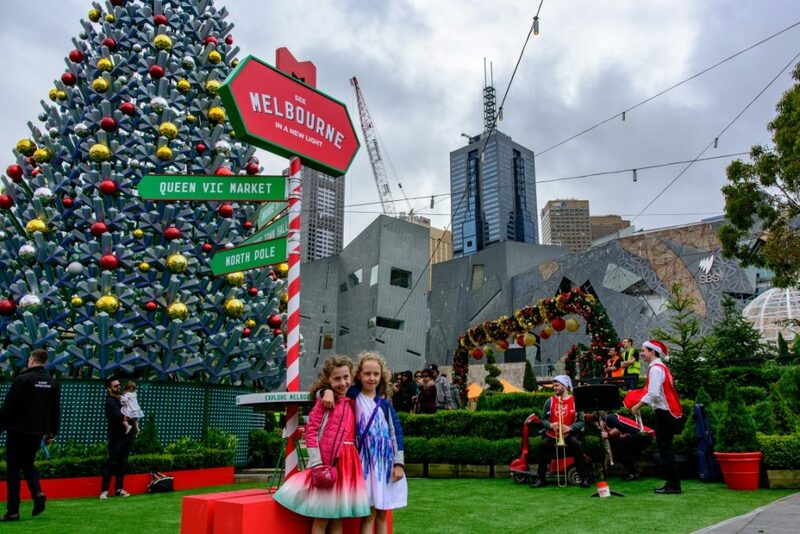 The centrepiece of the City of Melbourne’s Christmas Festival Hub at Federation Square is the new 16 metre tree, which is as stunning during the day as it is at night. Visit after 9pm for a dazzling spectacle of multi-coloured lights as well as nightly projections and the Giant Christmas Bauble. 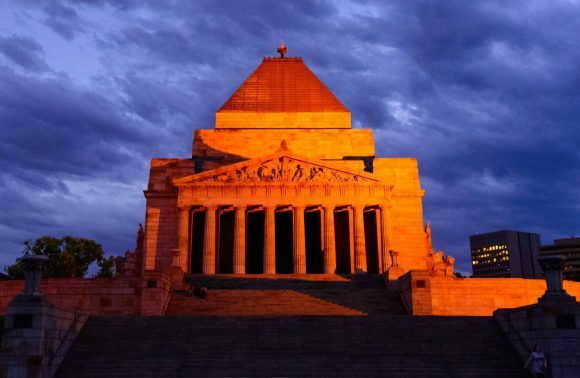 Walk inside this six-metre-high wonder, a perfect spot for family selfie. Shows until Sunday 25 December. Read our guide to the Christmas Festival. A holiday highlight for generations of Melburnians, the Myer Animated Christmas Windows are back for their 63rd edition. As magical as ever, this year’s theme is Alice in Wonderland. 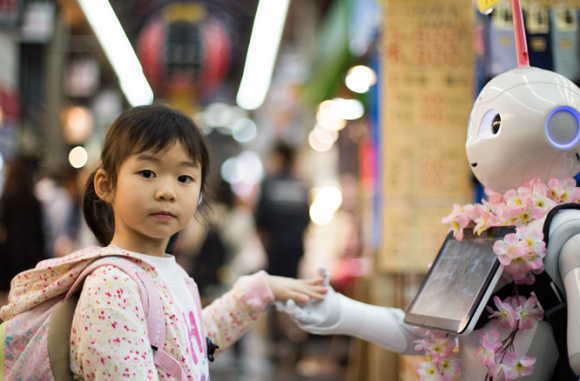 Thousands of kids will press their noses to the six Bourke Street Mall windows before the real world returns after 6 January. Don’t miss Lewis Carroll’s fantasy re-imagined by 40 artisans who worked 12,000 hours to bring Alice and friends to life. Before he hurries away to bring joy to the world, Santa is welcoming visitors to his new house outside Melbourne Town Hall. Kids can whisper what they want him to leave under the tree, and everyone gets a free photo with this merry gentleman. 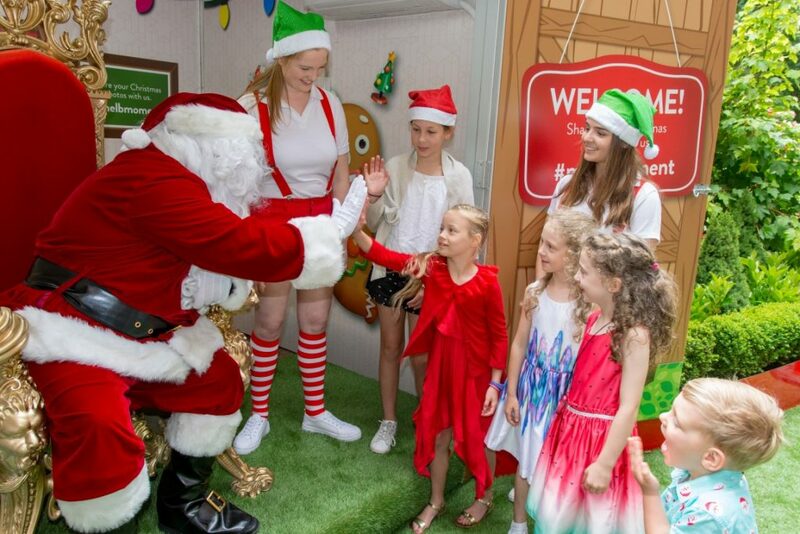 He’s a popular guy so queues at Santa’s House may be long, but his roaming elves will keep one and all entertained. Find out where else to see Santa in the city. 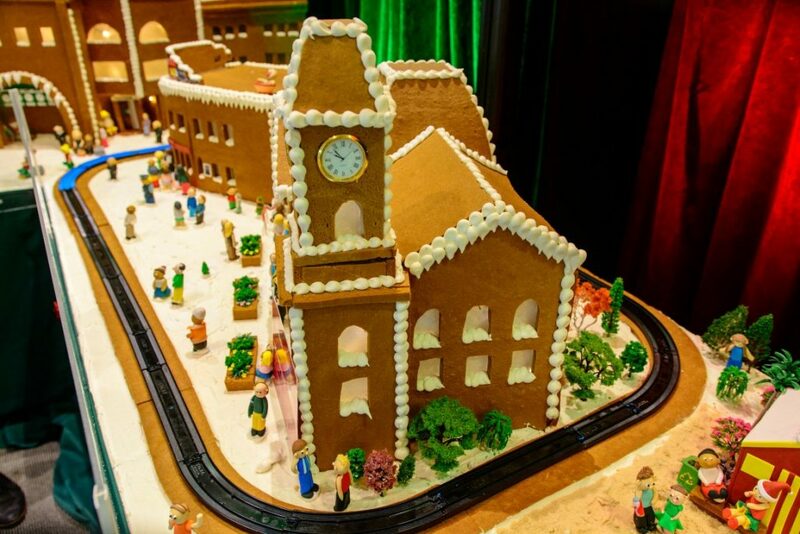 Spot your favourite Melbourne landmarks in miniature, all made out of gingerbread, marzipan and icing at this old-fashioned display of culinary creativity. This year, the Gingerbread Village by Epicure also features an international building: Osaka Castle from Melbourne’s Japanese sister city. Entry is free, but gold-coin donations are welcomed for the Royal Children’s Hospital Foundation, and there are also baked treats to buy. Have your kids, nieces, nephews and young friends sent their letters to Santa yet? The postal elves need time to get all those notes to the North Pole, and send replies before Christmas, so hurry! Friday 14 December is the last day for Santa’s Mailbox and Giving Box. The latter is an easy way to ensure someone who would miss out gets a gift this holiday season. 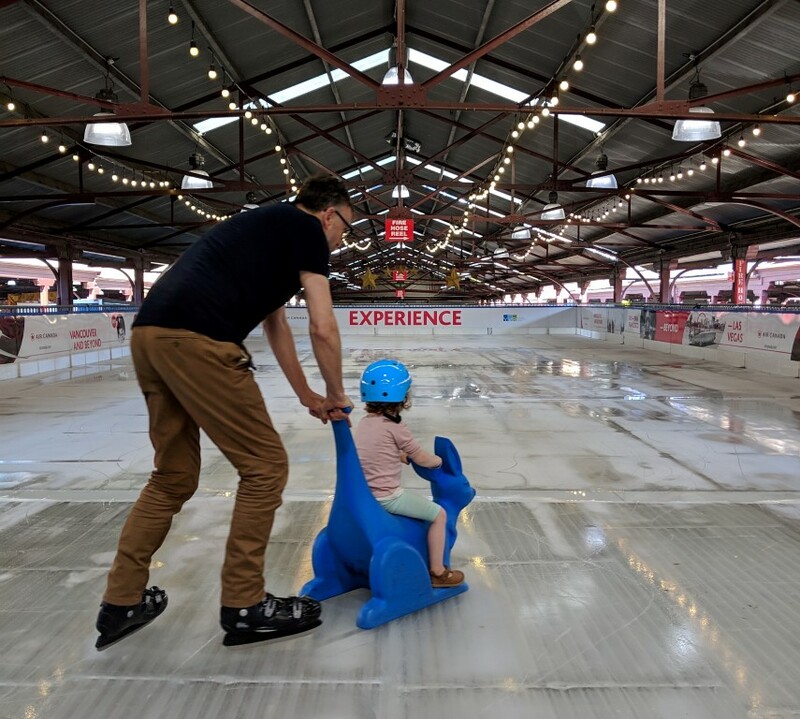 Cool off at the Air Canada Ice Rink at Queen Vic Market, which brings Northern Hemisphere winter Christmas fun to Melbourne’s summer. Whether you can skate like an Olympian or need a cute Kanga Skating Aide, it’s fun for all the family. Take a breather with Canadian treats including maple ice-cream and poutine – a carbelicious treat of hot chips, curds and gravy. Perfect for kids under five and their grown-up friends, Christmas with Baby Love Music Fun is a big hour of interactive festivity. This concert of holiday songs features professional singers and musicians, but everyone can join in. Bang a drum with the Little Drummer Boy. Pop bubbles during Let it Snow. Sing along to Santa Claus is Coming to Town, and more.